Singapore night festival is back! This free event is held over 2 weekends at the Brash Basah, Bugis precinct. The dates of this year event would be on 22-23 rd and 29-30 Aug. The event features international acts such as William Close and many interesting Night Light installations. However for us, we zoomed in on one of acts that the boys had been following for quite a while...our very own local trailblazing drum group ZingO. The interest with ZingO began with a chance encounter back in 2009 at Helios 2 . Since then we had been to numerous performances from YOG opening to Huayi@Esplanade to the recent performance at HIBIKI IV. During the early days, Big C earned the title of the 'Youngest' ZingO fan. Judging from the crowd, the title would be relinquished by now. To say we are groupies fans is an understatement. We have followed ZingO for over 5 years. It must the longest singular 'obsession' we have till date ! It was a performance worthy to be the opening act of Simgapore Night Festival. The stage may be small and they might not be able to manoveour all their moves, but to us it was as good as it gets. 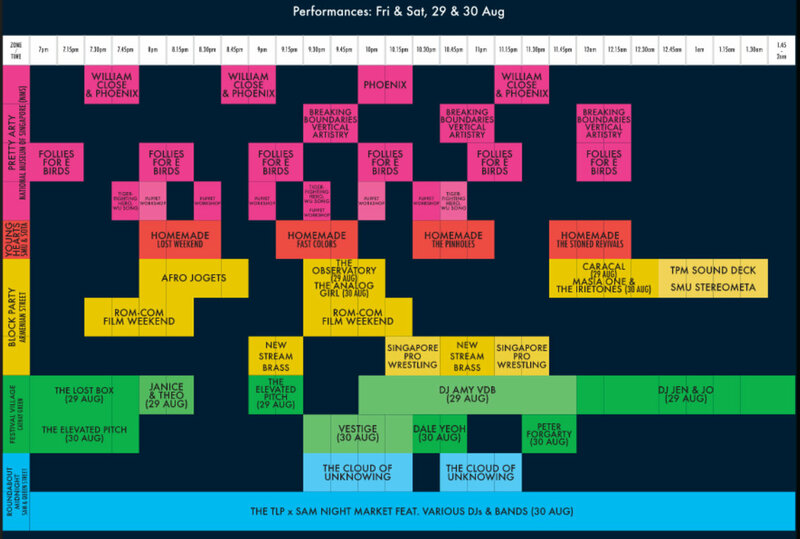 ZingO will only perform for one weekend at Singapore Night Festival. However you can still catch the famed Earth Harp by William Close this weekend. Look our for the joint performance between William Close and Local group Sound of Sirens. There are lots more acts at various sites. Some performances last all the way past midnight. Unfortunately we did not get to walk around due to the large crowd, however for more festival highlights, we suggest you head down to Dejiki.com for a comprehensive review of Singapore Night Festival. Singapore Night Festival closes tomorrow, so make your plans soon to catch this free event. Thanks Nicholas! Too bad I miss the rest of the festival !